Egypt now has just over 24 million users, a growth of 0.7% from the previous month and 38.5% from the same period in 2010. Egypt’s Internet sector has grown with some 170 000 new subscribers recorded for March 2011. As a result, Egypt now has just over 24 million users, a growth of 0.7% from the previous month and 38.5% from the same period in 2010. Despite the general increase in Internet usage in the country, mobile Internet subscribers fell to 8.19 million at the end of March, a 2.3% decrease from the previous month. 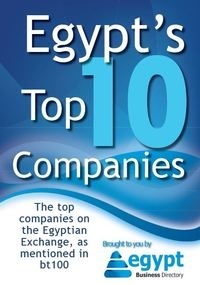 This is according to a recent report published by the ministry of telecommunications and information technology in collaboration with Telecom Egypt. On a positive note, there are now 1.78 million USB modem Internet users in Egypt, a 6.68% increase from the previous month. ADSL usage continued to see small increases with a 3.2% monthly increase to 1.49 million subscriptions, while fixed lines continued their decline with only 9.7 million remaining in the country, down from 0.02% from the previous month. According to the ministry report, some 7% of those lines are businesses while 2% are government. Egypt has been hoping that mobile Internet and USB modems would rise dramatically after the political protests, but the continued high costs and wide income gap in the country continue to limit the overall population’s ability to get online.